A common feature of Java Swing components is their acceptance of HTML (and CSS) for any of their JLabels. Since all Matlab uicontrols are based on Swing-derived components (an undocumented aspect), this Swing feature automatically applies to Matlab uicontrol as well. Whatever can be formatted in HTML (font, color, size, …) is inherently available in Matlab controls. Note that HTML tags do not need to be closed (<tag>…</tag>), although it is good practice to close them properly. Thanks for starting this blog Yair. It’s fun, and often necessary, to mess with Java directly when doing GUI programming in Matlab and this blog should help a lot with that. About displaying HTML in uicontrols, is there a way to do that with static text? Simply changing the style parameter to text in your examples does not work. This is a good point, Ashish – text uicontrols use a class (com.mathworks.hg.peer.LabelPeer$1 which extends com.mathworks.hg.peer.utils.MultilineLabel) that de-HTMLs the content string for some reason that I do not understanding. Instead of using uicontrol(‘style’,’text’,…) you could use javacomponent(‘javax.swing.JLabel’), which uses a standard HTML-compliant label (the string is controlled via its ‘Text’ property). Now, the next question is, is there a way to make it behave like a HyperLink on hovering i.e. change the cursor to the hand icon, like it does in a web browser? Note that in order to prevent memory leaks, it is advisable to use the jObject.setProperty() or set(handle(jObject),'Property',...) formats, instead of set(jObject,'Property',...). Is what he says about explicitly setting java handles to  true? I’m not doing that at the moment, but I could stuff all the java handles into GUIDATA and set them to empty in the DeleteFcn callback for the figure containing the Java components. I need exactly what Ashish needed almost 6 years ago and it’s working (HTML doesn’t work for uicontrol(‘style’, ‘text’)). My question is how do I change the size of the text? I was trying to access the method setFont method under handle.Font but it’s not accessible. How do I change the font size? Thanks. Yair, thank you for your demon reply. At times it gives the impression you are an 24hr AI software working. I used methods(jLabel) yesterday but didn’t show setFont, neither I could tab-complete it. Not sure why. Next time I will assume is there whether I see it or not. Thanks a million. Sorry. It should have read ….. demon speed* reply…. Next time, use my uiinspect and/or checkClass utilities. It seems I can move the line containing the call to the HANDLE function right after creating the JButton and then call all the methods the same way as using the handle returned by javacomponent. Is this true? Are the 2 handles equivalent (other than the fact that you should use the one returned by the HANDLE call to set the callback)? Thanks for the feedback about the code snippets font – I fixed it and you can now copy-paste directly into Matlab. Your observation about handle() is correct. handle() is a large undocumented topic in Matlab which is on my TODO list. Basically, the handle() object is a Matlab wrapper for the Java reference, and whatever you can do with the Java ref you can do with the handle, with some differences that I’ll detail separately (probably over several posts since the topic is large). @Dani – the “normal” way to do this is to use HorizontalAlignment. In theory, you could use the style=”text-align:right;” CSS directive. However, it appears that the Java engine does not honor this CSS directive (although it does honor font size/color etc.). it doesn’t hurt to try, just don’t be surprised if it is ignored. Yair, I was messing around with the JLabel HTML, and I have a few different links within it. Is there a way to allow for following these links? @Jason – you can indeed follow hyperlinks. For a few examples, take a look at my UIINSPECT utility on the File Exchange. Specifically, see the link at the very bottom of the figure window, and also the links within the methods pane on the top-left. Was just wondering if using this technique I would be able to make some options in a popupmenu change colour and more importantly unselectable? Thanks for your invaluable help with this website. @Fil – You can use HTML to define separate item colors (see the example in the main article above), but you can’t define unselectable items. 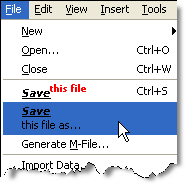 So there is no way to create a popupmenu with unselectable options using Matlab or Java? You can use HTML to set popup menu items to gray-italic, but you can’t prevent the user from clicking these items. In your callback, simply ignore any clicks made on your “uselectable” items. As the ForegroundColor of “New Figure” label is still in red it is not clear that the label is disabled. I would expect to see the label in grey. How can I read an HTML file into MATLAB and discard the HTML tags? Except this drawback , using HTML in uicontrols is easy and makes GUIs to be more pretty. It’s a bit late to answer, but for the record this is a known bug in the JVM (i.e., not a Matlab bug). This bug’s webpage contains several workarounds; the full fix is in JVM 1.7, whose Matlab integration date is currently unknown. How to pass a variable in the element? Is it only uicontrols that are derived from Java Swing components? If not, how can I detect if a given object is so-derived? E.g., are uipanel’s so-derived? (I’d like to use html tags in a uipanel title; is using a uicontrol(‘Type’, ‘text’) the only way to achieve this? Can I make such an object the value of the uipanel’s Title property, or do I have to basically make the control a separate child of the panel and place it manually in a title-like position?) Thanks! Finally, you can always elect to use a JPanel directly, rather than a uipanel – JPanels inherently support HTML in their titles, and also enable rounded corners, which is a nice feature that is lacking in uipanels. To find out if there is an underlying Java component to a GUI control, use the findjobj utility. You’ll find that there is no such Java control that underlies uipanels. Amazing! However, after trying this on a little experiment (a GUI-based Scientific Calculator), I came across a little problem – how do you implement a delete function on special characters in HTML (such as pi which is &#960)? The thing is, I can now use special characters (thanks to your tutorials) on static textboxes. But everytime I use my delete command above, the underlying html code is revealed. The interesting thing for me would be including some images in my text. @Eric – you got the HTML img URL syntax wrong, that’s why you don’t see the image. I explained this issue here. Many people seem to have this difficulty so I think I’ll write a dedicated article about it shortly – keep following this blog. Note that HTML images only work for “real” uicontrols, but not for text labels that are created via the uicontrol function. I explained a workaround for using HTML in text labels here. first thank you for your great blog. It helps a lot! Right now I struggle a little with the listbox. I try to generate items that contain multirow text using the “br” tag. Right now the listbox ist not extending the item height so the items are not completely visible. Is there a way to tell the listbox to autosize the items or do I have to somehow manually do that? i’m searching for a method to change the background color of the whole popupmenu window. but i want to change the color of a whole popup-window when i click on the the button right. the matlab control offers only the color changings in the untouched menu window, but not in the whole opened one. this is is always white. eve if i change the colors of the text and its background with this html-method, what really works fine, all the rest background in the menu stays white. I do not know how to do it directly from Matlab. I think you will need to do it using a customized Java control. See here. For your info I have added a FEX submission for converting str2html. for use in uicontrols and uimenus etc…. Is it possible to highlight different entries of a listbox separately? I am looking for a way to be able to (1) highlight the entry my mouse is currently hovering at and (2) at the same time always keep the currently SELECTED entry highlighted (in a different color) aswell? And I am not looking for chaning the color of the string via HTML. I’d like to have the whole “line” highlighted. I figured out a workaround. I have some space on the right of the listbox. I placed a simple static text there, without any string but a certain backgroundcolor. And every time my MouseHoverCallback from the listbox executes I update the y-position of the static text in to the corresponding currently hovered index in a discrete manner. This is what it looks like: http://hpewd.dorado.uberspace.de/listbox_example.png. The blue-highlighted entry is the currently selected one. That provides a simple indicator. However, this is just a workaround. Maybe someone knows a more proper take on this. I am trying to write Latin characters in a uimenu, such as: á or ñ. However, the ‘&’ symbol is reserved for uimenus to allow mnemonic access to items and so doesn’t display the characters correctly. Do you know a way around this? Is Java required for this? I was able to fix this by putting an ‘&’ before the string as well as using it as an html character. 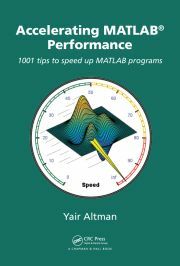 Is it possible to integrate CSS to Matlab Guide ? I am trying to create one of the buttons here : https://codepen.io/bartekd/pen/qFsDf in my Matlab Guide figure. Is it feasible ? Note that not all CSS directives are supported by Java Swing (which is the underlying mechanism that parses the HTML/CSS directives). @Yair Thank you for your reply. I have been trying to include a css file for a while but I always get the html code as a string on the button. Can you help me with this issue ? Please refer to the example below (HTML code and it’s corresponding CSS code). @Momo – you cannot include external CSS files. You need to specify the CSS directives directly in the HTML string as I have shown above. Is it possible to change the horizontal & vertical alignment of the pushbutton string with CSS tags? Much thanks for all you do! A better solution is to use the findjobj utility as explained here. This would be independent of the button’s pixel-size and would work even when the button is resized. This is a great work-around! I’m guessing by your suggestion that Matlab doesn’t interpret any of the ‘align’ commands for text in naked Matlab uibuttons? As for suggestion two, I’m very familiar with your great |findjobj| utility. I use it all the time. I was hoping to avoid jButtons if possible, but they might be best choice afterall. @Meade – it’s not Matlab that ignores the align directive but rather the underlying Java Swing behavior, which snugly fits the text in the center of the button, and of course aligning text within a tight-fitting box has no effect. The workaround I suggested simply forces Swing to use a non-tightly-fitting boundary box, within which you can indeed align the text. It’s a pretty standard HTML/CSS behavior workaround, and any decent web developer could probably find several similar alternatives. Arash Marashian (12 days 22 hours ago): Problem Solved. I found out that my version does not have this icon. thanks. Marshall (14 days 1 hour ago): This was a fun puzzle–don’t hesitate to add more posts like these if you come across some other fun ones! Reza (14 days 7 hours ago): I have the same problem. this Java widget got error in compiling via Matlab 2018! Could you please show me how to solve this? GGa (16 days 1 hour ago): There isn’t anything “outside the UTF-8 range”. UTF-8 can represent any Unicode character, as far as I know.